PocketFullOfApps | Namco Bandai Games Announces ‘Ridge Racer Slipstream’ for iOS! 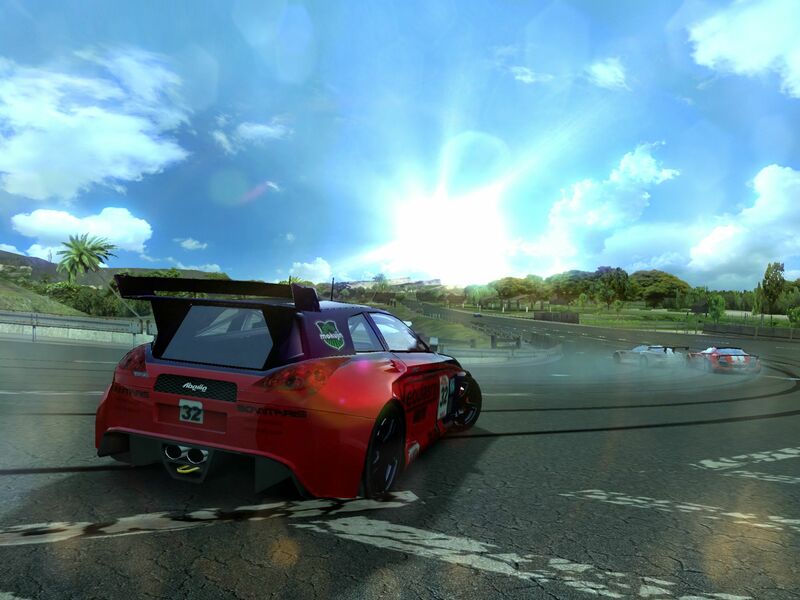 Namco Bandai Games Announces ‘Ridge Racer Slipstream’ for iOS! Well known developer and publisher, Namco Bandai Games, have announced that their latest iOS title Ridge Racer Slipstream is set to land later this month on the App Store. Bringing the series’ popular drifting aspect combined with a new racing engine, Ridge Racer Slipstream raises the yet again bar for the franchise. Featuring a brand new racing engine designed for iOS, Ridge Racer Slipstream also has various gameplay modes, 20 unique tracks (10 tracks driven forward and backward) and 12 different vehicles to customize. In total, there are over 300 different ways to customize the vehicles where players can change the colors, rims, body kits and vinyls. Namco will also release extra content in future updates as well as an multiplayer mode, however, we’re unsure when that will be. We are told that there’s a full-featured Career Mode plus three different race types in Arcade Mode — Regular, Quick, and Knockout Races. We’ve also uploaded a nice gallery of 13 screenshots that you can see here. Last but certainly not least, you can watch a quick trailer for Ridge Racer Slipstream below. Like always, we’ll keep you updated if we hear more news from Namco. Enjoy! ← ‘Space Hulk’ Now Available on the App Store for iPad! Entries (RSS) | Comments (RSS) | 86 queries in 0.886 seconds.